COLORADO SPRINGS - Lead Stories is happy to announce we are now part of Facebook's partnership with various fact checking organisations around the world which aims to fight misinformation on the platform. 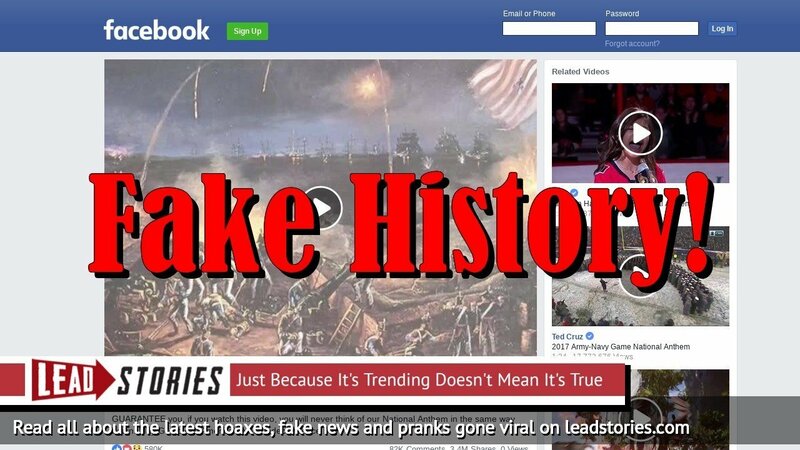 Lead Stories will continue using its Trendolizer engine to detect viral content from known fake news, satire and prank websites but will now also get access to lists of possibly false content flagged by Facebook's systems. Lead Stories will continue independently checking if these stories are true or false as before using the same methodology and will keep publishing its findings on leadstories.com. What changes is that Lead Stories' findings about false and misleading content will now also be used by Facebook to bring more information to the attention of people who engaged with such content and that our findings will also be used to reduce its further distribution. You can read more about how that process works here. Of course appeals are always possible if we make a mistake (we are only human after all) and our corrections policy remains unchanged. Lead Stories is proud to be chosen to work with Facebook after becoming a verified signatory of the Code of Principles of the International Fact-Checking Network in April 2018 and first meeting with Facebook's representatives at the IFCN's Global Fact V conference in Rome during the summer of 2018. More talks were held after the conference and an agreement followed later that year resulting in today's announcement. Lead Stories is an innovative fact checking and debunking website at the intersection of big data and journalism that launched in 2015. Our editorial team used the technology provided by Trendolizer™(patent pending) to quickly find the most trending content on the internet to write about but our mantra has always been "Just Because It's Trending Doesn't Mean It's True." Originally started as a site about what was currently trending on the internet in general (and in some cases if it was actually true) we gradually shifted into full time fact checking and debunking mode ever since the primaries of the 2016 U.S. Presidential Election. Nowadays we specifically hunt for trending stories from known fake news, satire or prank websites in order to debunk them as quickly as possible. For any questions, media enquiries or requests for information about Lead Stories, please see our contact page. Back in November of 2018 fact checking sites Lead Stories and Nieuwscheckers collaborated to map a network of Macedonian fake news websites that had published thousands and thousands of articles since 2016, mostly stolen from other places, many of them fake and often promoting hate, racism or conspiracy theories. A few days ago BuzzFeed's Craig Silverman published his annual overview of the top 50 biggest on-line hoaxes of the previous year. Just like last year we used this list as a basis to do some analysis to see how Lead Stories did compared to other fact checking websites. If you have ever visited YouTube you may have noticed news articles are being stolen by shady YouTube channels uploading videos in which a robot voice reads out the text of an article over a slideshow of vaguely related photos. STORY UPDATED: check for updates below. Compare following two headlines: Thе rеаsоn аrmy hеlіcоptеrs аrе nаmеd аftеr nаtіvе trіbеs wіll mаkе yоu smіlе The reason Army helicopters are named after native tribes will make you smile Notice anything different about them? : Updated this article with some examples of our past coverage.